The owner of new Brighton bar Popworld wants it open for longer but its proposal has prompted opposition from Sussex Police and council licensing officers. 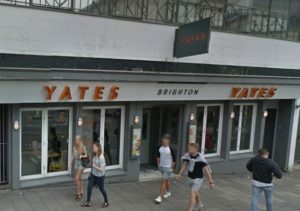 Stonegate Group, owner of Popworld and the Yates Wine Lodge brand which used to occupy the site in West Street, wants to sell alcohol from 9am to 2am from Sunday to Wednesday and from 9am to 3am from Thursday to Saturday. Later opening is also requested for Christmas Eve, bank holidays and Hallowe’en, with 24-hour opening for the new year. West Street is at the heart of Sussex Police’s Operation Marble area where it focuses on policing Brighton’s night-time economy. 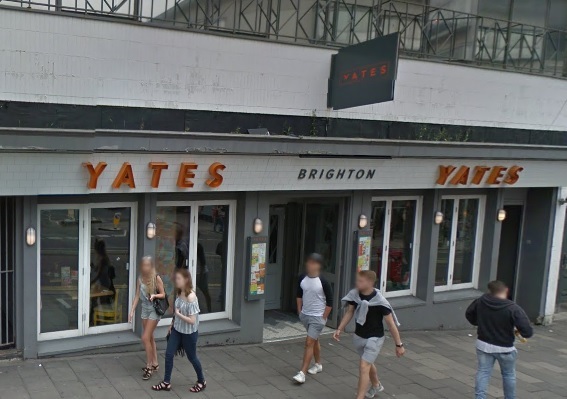 It is also in the area that has been designated a cumulative impact zone by Brighton and Hove City Council. Certain types of new licensed premises are allowed in the cumulative impact zone only in exceptional circumstances because the number of pubs, bars, night clubs, off-licences and restaurants in the area is said to have reached saturation point. The policy includes other restrictions related to opening hours. Chief Inspector Di Lewis opposed the application on behalf of Sussex Police. She said: “Due to the later times being requested compared to how the venue is currently being operated, this will increase the number of venues in West Street closing at the same time. Stonegate Group has offered to surrender the current licence if it is granted a new one. The council’s licensing team also opposes the plans. The application is due to be decided by a council licensing panel on Friday 26 April.